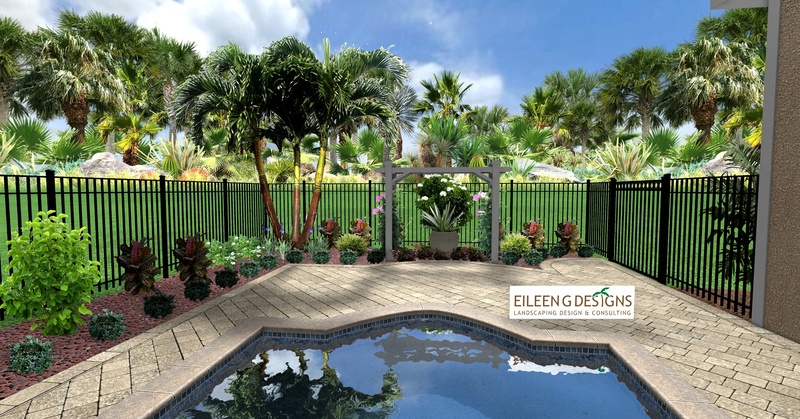 This small back yard design featured a new paver brick pool deck and low maintenance tropical landscaping that is colorful and that won’t need to be overly pruned and hedged to keep looking good. Additional thought was given to adding fragrance and to making sure that flowering plants wouldn’t litter pool. 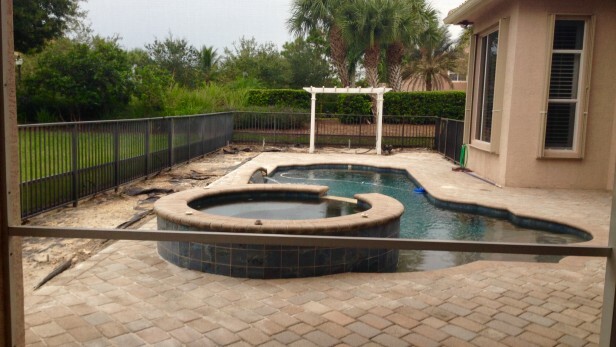 Decorative rock was used to further reduce pool debris. The look is finished off with an arbor and gorgeous pot. 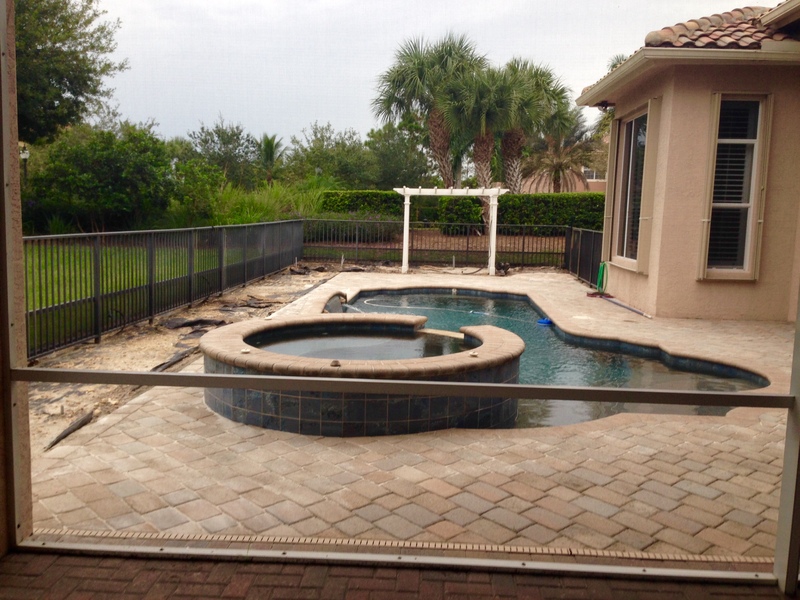 A small area of artificial turf was added for their small dog and for low maintenance greenery. 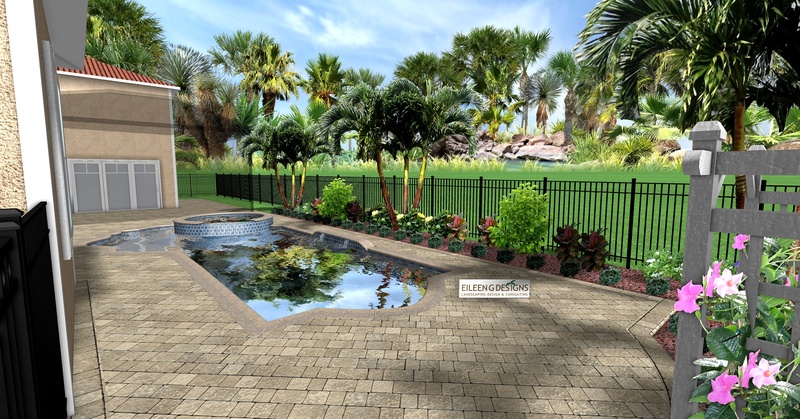 Paver pool deck and tropical landscaping for small back yard. 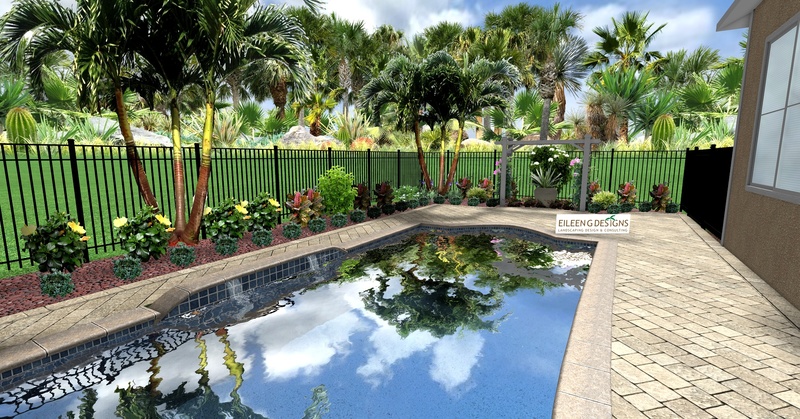 Small backyard project features a new pool deck and tropical landscaping. 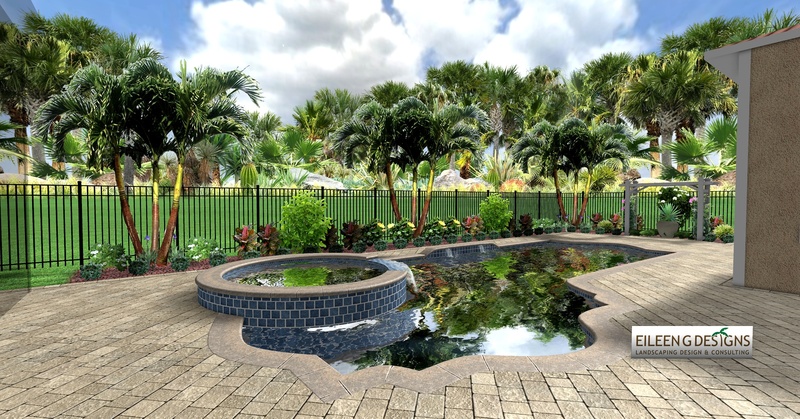 Small back yard design features a new paver brick pool deck, low maintenance tropical landscaping, decorative rock and a gorgeous pot.